L1CAM antibody LS-C16728 is an unconjugated mouse monoclonal antibody to human L1CAM. Validated for Flow, IHC, IP and WB. L1CAM antibody was raised against homogenate of 16 week human fetal brain cells. Recognizes the 220-240kD glycoprotein L1 molecule which is expressed in neural tissues, neuroblastoma and medulloblastoma. NCAM L1 expression also occurs on cells of myelomonocytic and lymphoid origin. 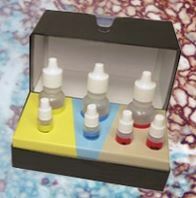 Suitable for use in Flow Cytometry, Western Blot, Immunohistochemistry and Immunoprecipitation. Immunohistochemistry: Frozen sections.